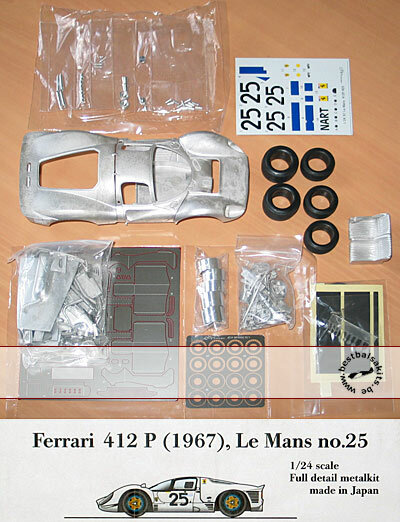 One of the most complete/detailed 1/24 model kits on the market. Detail is simply amazing. full engine detail in white metal, vacuum formed clear parts, decals, rubber tires, body shell in white metal, turned alu parts. Litteraly several hundreds of parts.